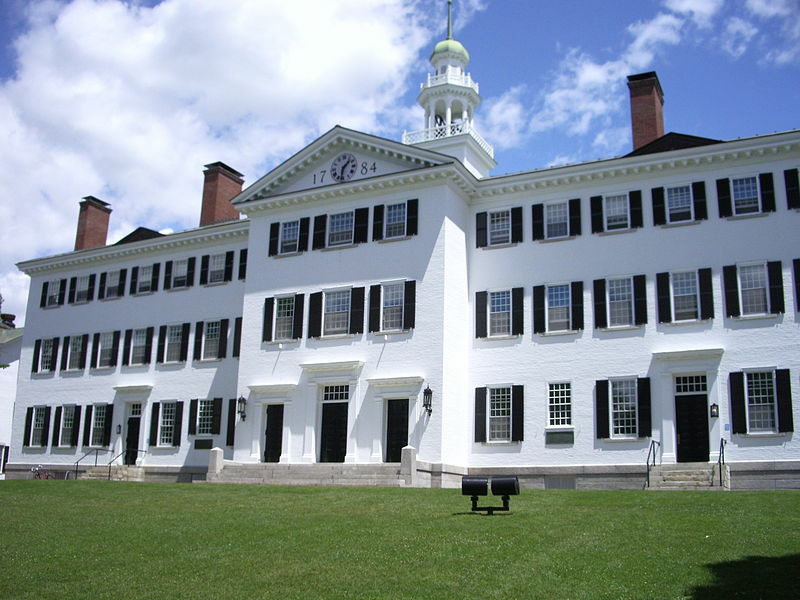 Applications to Dartmouth College dropped this year by 14%. Bev Taylor, Founder of Ivy Coach, is quoted in “The Dartmouth” today in an article that discusses Dartmouth’s steep drop in applications this year. Applications to Dartmouth are down 14% from last year’s mark for the Class of 2017. In all, 19,235 students applied to the College on the Hill this year. 22,416 students applied last year. According to an article on applications to Dartmouth in “The Dartmouth,” “The College received 20 percent fewer applications from students living abroad, 15 percent fewer from students in the Northeast and 20 percent fewer from the Midwest.” Dean of Admissions and Financial Aid Maria Laskaris attributed the decline possibly to a demographic shift, with more folks moving to the South and West. We wanted to point out that drops like these happen sometimes. While it is indeed the task of admissions officers at highly selective colleges to get as many students as possible to apply (even if some say they don’t encourage entirely unqualified students to apply — they all do! ), fluctuation is inevitable. What we can say for certain is that the drop is not attributable to the fact that Dartmouth is located in Hanover, New Hampshire because Dartmouth — since its founding by Eleazer Wheelock — has been located in Hanover, New Hampshire. So any suggestion like that — as it has been mentioned —- makes no sense to us. Maybe it’s attributable to fallout from an expose in “Rolling Stone” by a bitter student describing fraternity life at the College on the Hill. Maybe it’s attributable to Dartmouth sending out too many brochures this year or too few. Who knows! As Bev is quoted in “The Dartmouth” today, many students don’t have Dartmouth on their radar, in spite of it offering perhaps the finest undergraduate education in the land. Any speculation from the outside is pointless. The only folks who are going to be able to pinpoint rationales for the decline are the folks who are actually doing the postmortem — those who are analyzing the data that only Dartmouth has. In times like this, it can be good to bring in data miners from outside the world of admissions to examine the data from this year as compared to preceding years. But we bet that Dartmouth’s already on it! Because they don’t want what happened this year to happen next year.